Motto: "The blade of truth cuts through evil"
The Glorious and Eternal Kingdom of Ilefain (IL-fahn) is a kingdom located on the western quarter of Nora. Ilefain is bordered on the north, west and south side by the Noran Sea and to the east by Canstice and Tir'Ein. First formed from the combined might of the Four Brothers region, Ilefain quickly became the first true nation to emerge from the dark ages caused by the Moonfall. Elknor the Wretched gained control of Ilefain and used it as a spring board for conquering all of southern Nora. Now, Ilefain is a member of the Allied Kingdoms of Nora. Lacking an official king, the kingdom is ruled by the Regent Stewart of Lindblum. 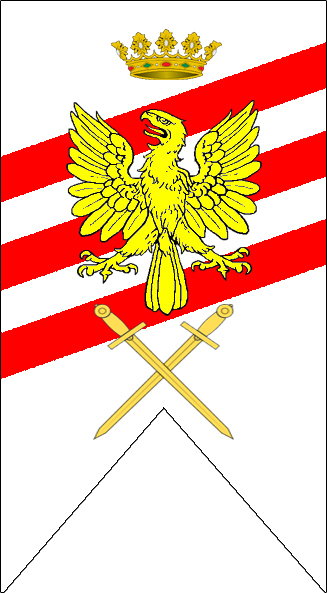 It is a safe nation, remarkable for its compulsory military service. Crime — especially youth-related — is well under control, thanks to a well-funded police force. The SHi'imti empire began in western Ilefain and spread eastward as it went on. In the vacuum left by the Shi'imti, the land fell into darkness as the Vampire Kingdoms rose. Gentle hills, small forests and much farmland. The Gloomshine Forest used to be much larger, but was reduced in size due to logging. 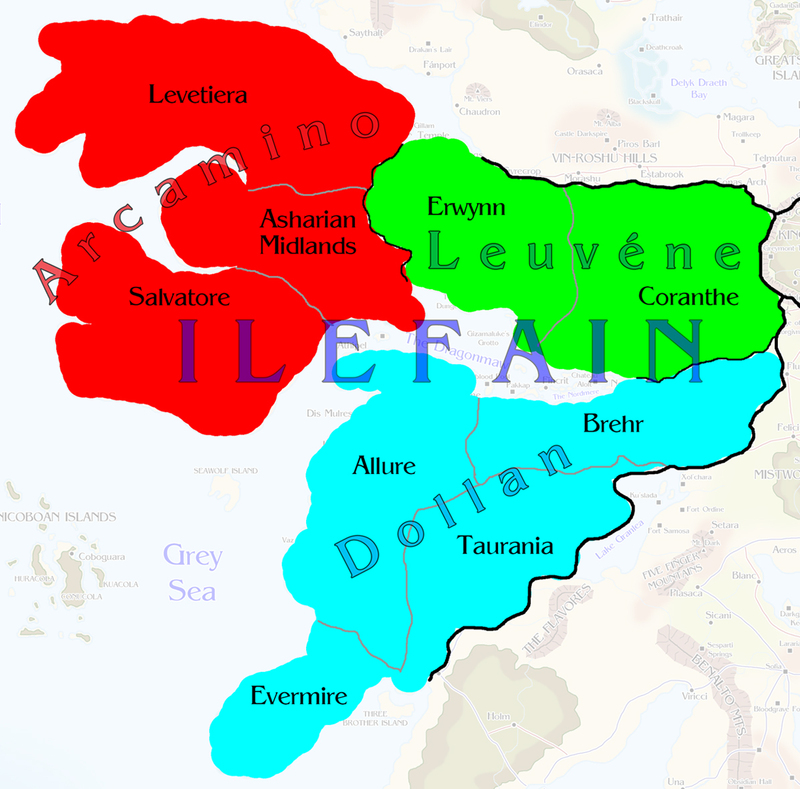 Ilefain is the only kingdom to possess a standing army, the Grand Army of Ilefain. However, do to a lack of any major wars since the creation of the Allied Kingdoms, it is small and is used mostly as a police force as well as civil servants. All first sons are required to perform military service for no less than four years. Commissioned Officers: Commissions were bought and unless there was actual fighting on you didn't get much/any pay. The PRD says that a rank and file mercenary soldier earns about 3sp a day, so maybe an officer would earn about 12sp a day? Magic in Ilefain is licensed and all arcane practitioners must have membership in an organization such as a wizard circle or bardic college. Students are refrained from using magic outside of studies until they graduate or receive membership from an organization. The Church of Light is dominant in Ilefain and nearly everyone is a devout worshiper. The Church has a lot of influence on Fainish politics and has the love of the populace. The Atheldene are half-eladrin remnants of Tir Maith. A more casual persona of St. Lydia, the Lady Lydia is the symbol of Ilefain. She is a figure of liberty and spirit. Statues and especially busts of the Lady Lydia are common, particularly in government buildings. She is represented in several different manners, depending on whether the aim is the emphasise her fiery spirit or her wisdom.